Mesothelioma is a rare form of cancer that develops in the membrane lining the lungs or abdomen. The skilled Chicago mesothelioma lawyers at Nemeroff Law Offices recognize that the majority of Mesothelioma cancer is the result of exposure to asbestos fibers or dust. Mesothelioma is usually diagnosed in its advanced stages. Many cases go undetected for years due to the disease's long latency period and ability to mimic the symptoms of less serious disorders. Latency period means that the symptoms do not manifest themselves or appear until several decades after the first exposure to asbestos. After diagnosis, the average survival time is only about one year. The symptoms generally appear years after exposure. 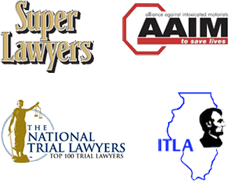 As an experienced Chicago injury law firm, we understand that the majority of individuals diagnosed with mesothelioma are directly related to asbestos exposure. Asbestos is a group of natural minerals. They form strands of strong, flexible fibers. These fibers can be separated into thin threads and dust. Asbestos became popular among manufacturers and builders in the 19th century. It was used by many industries for insulating, sound absorption and its fire-retardant properties. The lawyers at the Chicago injury law firm of Nemeroff Law Offices recognize that workplace exposure to asbestos is the leading cause of Mesothelioma cases. In 1970, Congress passed regulation mandating that employers must protect their workers from known hazards such as asbestos. Strict laws govern the manufacturing, maintenance and removal of asbestos. These laws are in place because of the strong evidence that supports, exposure to asbestos can cause serious health problems or death from lung cancer or mesothelioma. The strong association between industrial use of asbestos and fatal lung disease was firmly established by the late 1940s. Many industries chose to ignore this information. Instead they continued with business as usual and ignoring and endangering the health and safety of their workers.